This is a fairly simple idea. 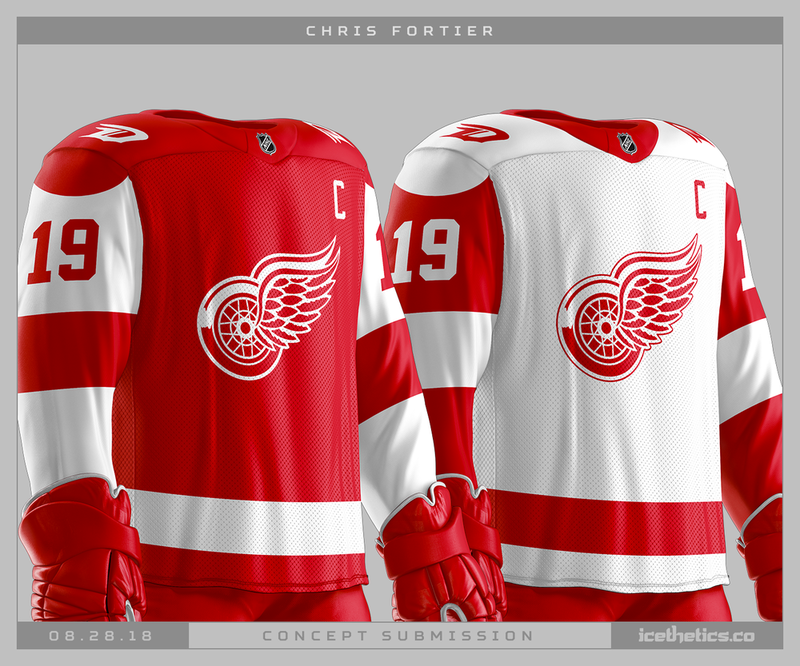 Chris Fortier gives the Detroit Red Wings a home jersey to match the sleeve striping in their road jersey. Does it work? Or is it too weird? And what about those shoulder patches?